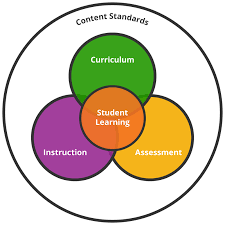 What are the requirements and guidelines for curriculum and assessment in your school? How does your host teacher address district goals and mandates? How does this relate to teacher evaluation? Curriculum for science classes follows the relevant standards. Curriculum, standards and assessment join together to help the teacher provide the best learning experiences for students. My host teacher assesses students’ progress on the curriculum content that is presented to them. The information teachers gather about student’s progress helps determine how to design the classroom, the kinds of experiences, and the content that will help students learn new skills. I noticed that regular (or ongoing) assessment gives me the information I need for lesson planning and helps me create stimulating learning environments for all my students. At Petersburg High School assessment is encouraged to be varied and include formative assessment although specific assessment mandates are in place mostly for reading and math. Teacher evaluation includes a section on assessment, but actual observations are limited, so mostly only formative assessments are included. Assessments that are authentic do not limit students. Students are able to apply what they have learned to a new situation, by using thinking skills to determine what information is useful from what they have learned. Authentic assessments should allow opportunities to research, practice, and get feedback on the product. An example of authentic assessment in my host teacher’s classroom is the Science Project that students need to complete by the end of the first semester. Students select a subject that is related to science that interests them like the Accuracy of the volleyball serve, Effect of music on the swimming speed, UV light and the effects of sleep, to Roller Derby techniques. Students are given all the necessary tools for resources in the digital library, and they get constant feedback from my host teacher and the high school English Teacher. Students receive an outline with the requirements for each section of the project. Must be a true research project with a control. Project must be approved by the instructor. Must be done as a single document which is capable of turning into a pdf file for a web site. Introduction: (Research Essay) minimum four double spaced pages with all margins no greater than 1 inch. a) The introduction is a Research Essay based on your library research. The purpose of the research is to insure that you have enough knowledge of your project idea to conduct an experiment and make a valid hypothesis. The Research essay must be well organized and include parenthetical citations. b) It will be followed by a third page which is a works cited page. The Work Cited page will contain at least 5 different sources. No more than 1 of the original 5 can be an encyclopedia and the remainder must be authentic, and reliable resources. c) Electronic note cards. There will be 5 electronic note cards that are filled out and have been used in the introduction. They must be associated with the cited page. We will follow the MLA method of citing your sources. The example of a correctly written work cited page is located in the library and from the English teacher . The problem will be one or two sentences starting with the phrase “The problem that I am trying to solve is……..” You need to be very specific it needs to be supported by your experiment. Then, also, you need to include why this is an important question to you. 5. Material : A list of all materials used by you during the actual experiment. a) The procedure will be a complete step by step set of instructions describing every step you took when actually testing your problem. a) You will need to tabulate your observations as often necessary. This organized record of observations must be included in the project write up. b) At least 3 Sections of your data must also be presented in a pictorial demonstrations, be used when designing your Conclusion. In your own words you will need to answer the following questions in complete well thought out answers paragraphs. a) Was your hypothesis completely correct, partially correct or incorrect? You will need to include your actual data to support the analysis of your hypothesis. b) What would I do different? What new variables, or new methods to collect data, or how could I better control my variables.If I redo this experiment, why would these choices improve my project? c) What new ideas (serendipitous observations) did I learn from performing this experiment? e) What type of surprises did the experiment have as you did it? Why were you not able to predict these occurrences? f) How can this experiment be used in a real world application? In my Chemistry classes I will be teaching the Structure of the Atom, that will cover the events that led to the discovery of the electron, Rutherford’s experiment that led to the discovery of the nucleus, properties of protons, electrons and neutrons, isotopes, atomic number and mass number. Students will be able to define an atom, describe the properties of protons, neutrons and electrons. Using the periodic table students will be able to find the atomic number and mass number of different elements. My lesson connects to Alaska Standards: B1:The student demonstrates an understanding of the structure and properties of matter by  SB1.1 using the periodic table to describe atoms in terms of their base components (i.e., protons, neutrons, electrons). How did the concept of the atom changed over time? How are atoms of one element different from atoms of another element? 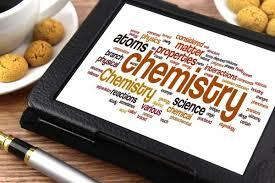 Students will know what an atom is, describe the properties of protons, neutrons, and electrons. Students will acquire the following skills: using the periodic table students will be able to find the atomic number and mass of different elements. Students may think that the identity of the atom is determined by the number of electrons and neutrons, which is not true. The identity of an atom is determined by the number of protons. The number of electrons and neutrons can vary and the atom will still be the same element. But if the number of protons changes, then the atom becomes an atom of a different element. I will use an activity called Kahoot! To connect to student’s prior knowledge of the atom from middle school and high school. Students will do worksheets and actively participate in the classroom discussions. I would start my lesson showing to the students two different shapes made from identical pieces of a toy construction set. I will demonstrate how even though the two shapes look different, the characteristics of the various parts that compose them are the same. This is true with the atom. Though atoms of different elements display different properties, isolated subatomic particles have the same properties, regardless of their source. I will then ask the students their opinions about the statements, have them discuss their opinion and try to justify their answer( this will give students the opportunity to explore the topic). To reach all learning styles, I would ask students to draw an atom and its parts. Using the Periodic Table I would ask them to find the number of protons, electrons, neutrons, and the mass number of a certain element. How the law of conservation of energy applies to changes of matter? How do different properties provide evidence of the identity of materials? SB1.1 predicting the properties of an element (i.e.,reactivity, metal, non-metal) using the periodic table and verifying the predictions through experimentation. Students need to have a basic understanding of the evidence and the reason behind how we know matter is made of discrete particles. Teachers should explain to students how we know atoms exist. Petersburg High School incorporates place-based learning education in the classroom through classes like Aquaculture, Marine Biology, Geology & Survey, Wood Shop, and numerous activities that are done in collaboration with the Forest Service and other members of the community. Petersburg is tight-knit community in Southeast Alaska. Tlingit from Kake used Petersburg as a summer fish camp originally before it was founded as a town by Norwegian fishermen. Fishing is very important for the community, and many of the residents rely on fishing as a source of income. The Aquaculture and Marine Biology classes are connected to salmon and their life cycle. Students often go on field trips to the local hatchery to collect data for scientific projects and participate in projects like egg gathers. In the Geology & Survey class students learn about the minerals that can be found in the area and also about surveying. Students start by surveying with a level and a Philadelphia rod the base of a house and surfaces close to the school. 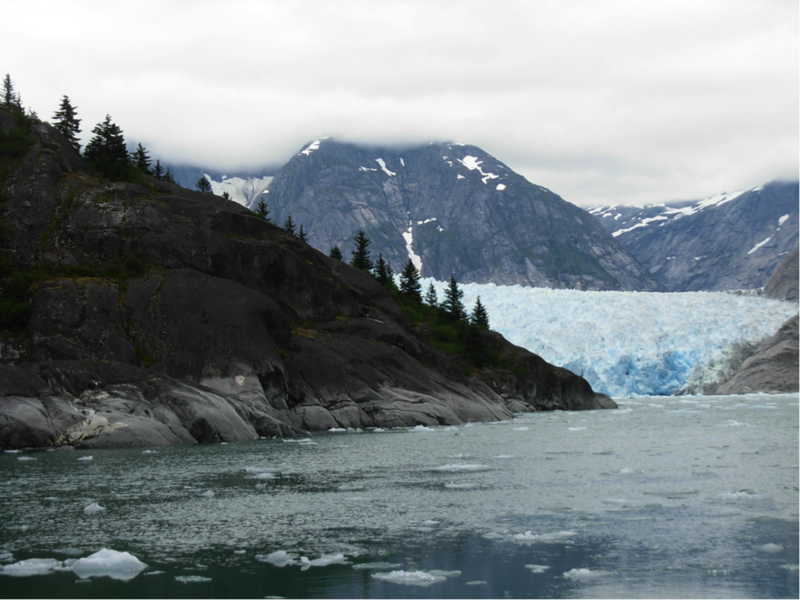 They will go on a field trip to Le Conte glacier, one of the most active glaciers in Southeast Alaska. Le Conte Survey Program is a two year training course where students produce reliable survey data from the Le Conte Glacier. In the first year, students focus on the basics of surveying and mathematics, while the second year, they, and two supervisors, visit the glacier as a group to survey it. 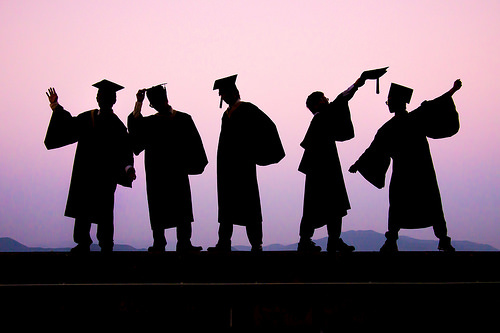 I had several good teachers that come to my mind and that incorporate the qualities that Parker Palmer talks about. My middle school science teacher was there for me in a difficult time. She came out from the “teacher role” and showed me she cared in the most simple way, by giving me a hug, when my mom passed away. My high school science teacher was a sensitive and caring person that manage to create a community within our class. She would tell us stories about her life, and then those stories would be connected by miracle with the unit she was teaching. Who does that? During our chemistry class, she would know to combine a good dose of humor with precise lab techniques that we would follow under her close guidance. She was a teacher inside and outside the school. We would go on hikes with her and she would share important knowledge with us. As we went on a trail she would spot a plant, tell us the scientific name, what it is used for, and then it was our turn to describe something that caught our eye. She managed to unite her identity, her students, and the subject that she was teaching. She passed on that passion for learning to us, and the inquiry based activities. It was ok to come up with a different answer if you had the evidence to back it up. Her classroom doors were always open for us. I learned from her that asking questions is not a weakness,and that in time can improve your learning, and comprehension. How does understanding culture and power impact your teaching? Understanding culture is understanding your own identity. Teachers must provide a safe environment within the classroom where students are seen, valued, cared for, and respected. As a teacher you can show you value your students’ culture by learning about their culture, building curriculum around personal narratives, or incorporating identity-based responses into the study. It is important to bring community members in your classroom, to share their knowledge and to help create a feeling of openness. The classroom should be the place where students feel comfortable defining their own cultural identities. As a teacher you should take time to explore each culture within your class, and infuse in your students the fact that they should be proud of their culture. Pick three terms that resonate with you from the Multicultural Education word wall. Define the terms and discuss why you chose these three terms. From the Multicultural Education word wall I chose: Tolerance, Transformation, and Respect. Tolerance means to accept and embrace other races, religions, cultures, ideas,and values without prejudice or judgement. Tolerance ties with respect; respecting others even if they might have different opinions, values, and beliefs. Children are brought into this world without biases, but even from early age they adopt values from their peers or the adults in their life. It is our job as teachers to introduce tolerance in our classroom, by deeply listening to what others have to say and to reflect about the feelings, and wisdom behind what they say. Respect in the classroom is defined by trusting the integrity of others, believing they have the right to their opinions, and valuing them even if they are different than yours. As teachers we need to make sure, everyone’s voice is being heard and valued. In order to transform others, you need to start with the transformation within yourself. As a teacher you need to let go of all biases, and create a sense of belonging in your classroom. Be open to learn new things every day from your students, and from people around you. Describe your plan to teach in a culturally responsive way in the coming year. Include teaching strategies you might employ as well as content/units you will implement. I feel I learned so much in the last three weeks, from all the wonderful teachers that came to share their experience with us. I would like to create in my classroom a community based on strong relationships where students will feel comfortable sharing their ideas. We each have a curriculum that needs to guide us, but how we chose to teach it is up to us. By engaging students to question, consult original sources, make observations, test hypotheses, collect, and analyze data, you teach them not to settle with the obvious answer. I want to use in my classroom story books to introduce new concepts, Math Trails to apply skills and knowledge with other peers, place-based learning to acquire a deeper knowledge through exploration, and community members.